There's No Skipping "Tim Tuesday"
I’m an athlete. I grew up playing sports and staying fit into my adult and parenting years. I’ve written about Body Fit before, and some of the many reasons why I think it’s awesome. What’s nice about Body Fit is that you can bounce around a little bit to keep the workouts fresh and exciting. I’ve been to a lot of great classes and walked out feeling accomplished and like I needed an immediate shower. With all of the great coaches and class times among so many convenient locations, I feel like there is a lot of flexibility in my daily schedule for workouts, except for Tuesday. Any other day of the week, there are great classes at so many Cal Fit locations that I needn’t worry about missing any one in particular. But Tim Tuesday is different. 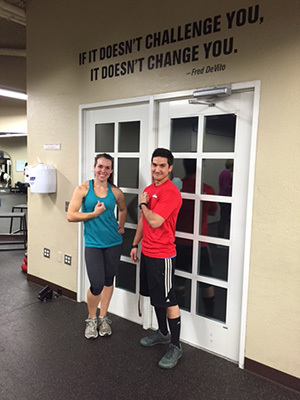 There’s no skipping “Tim Tuesday” (aka Body Fit with Tim Yamagata at the Orangevale gym). Why Tim Tuesday? Never once, in months and months have I walked out of Tim Tuesday feeling like I didn’t give my all. It doesn’t matter what mood I walked into class with, how crummy I was feeling, or how unfocused I was that day. When I’m in Tim’s class, he pushes me to my limit. In addition to his constantly changing workouts, he also has the perfect balance of very nice and encouraging, coupled with challenging and testing the limits. Trust me, I’ve tried on my worst of days, to half-you-know-what it. Not going to happen. He remembers how much weight I should be putting up, or if I’m not doing reps at a fast enough tempo for my personal abilities. With Tim, you quit when you’re done not when you’re tired, and look forward to coming back next week. As a power lifter, I can appreciate the form and technique side of lifting. I’m always confident that with Tim, he will ensure form looks good, and will even mention good form during the workouts as assurance. With his knowledge of muscle group specific lifts, he is always happy to provide modifications for injuries. However, be warned, an injury is not an excuse to not work hard. 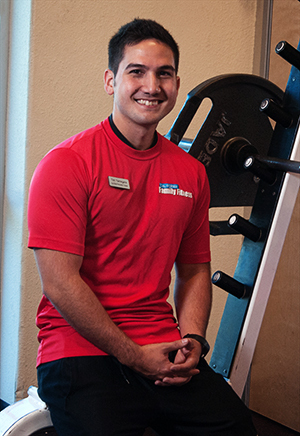 Tim will quickly give you alternative lifts that will keep you sweating, and with a smile on his face. No joke, this guy is so pleasantly happy, not over the top, but you know without a doubt, that he’s on your team. He’s there to help you get fit and push yourself mentally and physically. The only complaint I have about Tim’s class, is that he only teaches one. Tuesday at 6pm at Orangevale. On the plus side, he also does personal training. AUTHOR BIO: Misha is a California Family Fitness member who frequents the Rocklin Sports Complex, Arden and Orangevale locations. She’s also a very busy mama to three adventurous boys under the age of six.